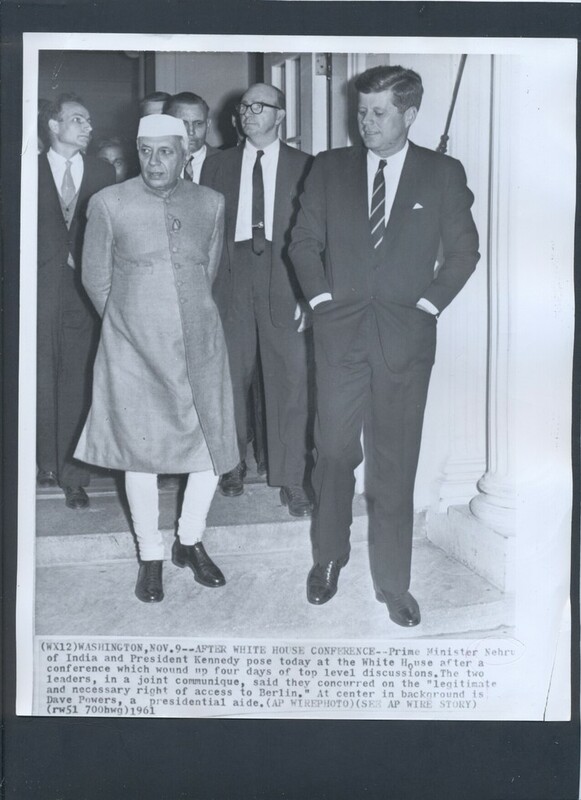 Prime Minister Nehru of India and President Kennedy pose today at the White House after a conference which wound up four days of top level discussions. The two leaders, in a joint communique, said they concurred on the "legitimate and necessary right of access to Berlin." At center in background is Dave Powers, a presidential aide.